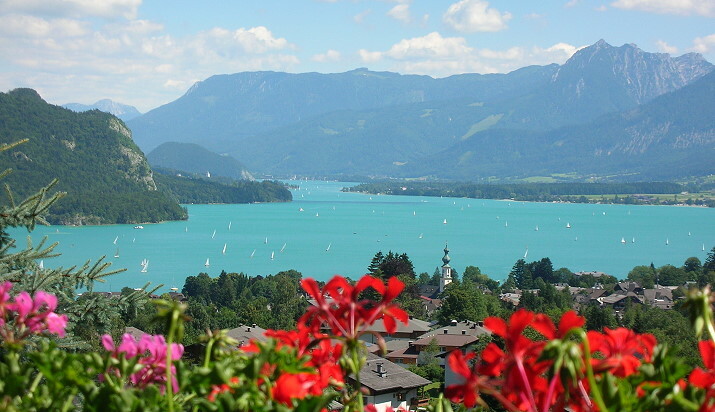 Enjoy your holiday in St. Gilgen am Wolfgangsee. Whether you want a lake or a walking holiday the mountains in the Province of Salzburg and Lake Wolfgang are just simply perfect. 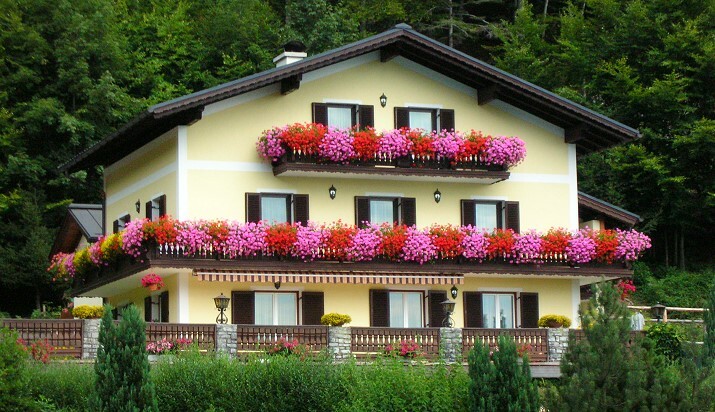 Our house is a well-kept family business,on the hill overlooking St Gilgen. We are just a 15 minute walk from the centre of the village and there is restaurant nearby. We are an ideal starting point for excursions and both longer and shorter walks,as we are very close to the bus stop ("Mozartblick") and to the forest. 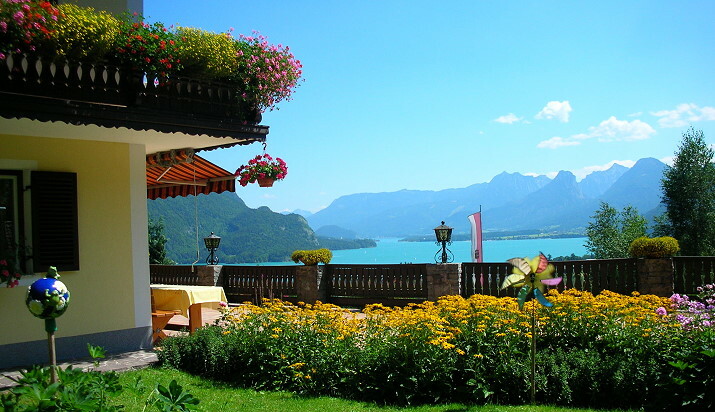 All double rooms and holiday apartments have a balcony and a fantastic panoramic view over Lake Wolfgang and the surrounding mountains. Take a trip with the cog railway up the Schafberg or with the nostalgic cable car up the Zwölferhorn, the mountain in St. Gilgen, and enjoy the panorama from the mountains of the Salzkammergut to the Dachstein. Lake Wolfgang offers lots of opportunities for water sport enthusiasts: sailing,water skiing, surfing and swimming or why not just enjoy a day on the water and make use of the boat service on the lake.